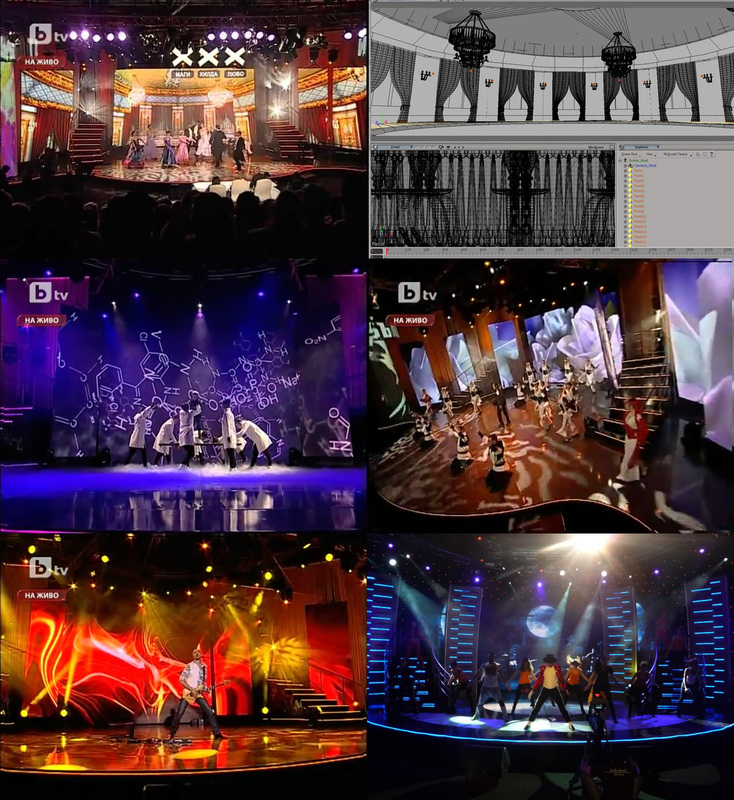 in the world of computer graphics and broadcast technologies for more than two decades. 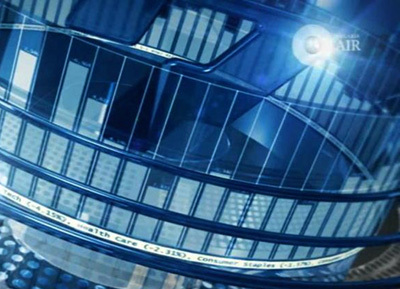 Bespoke application development for broadcast and entertainment industry. 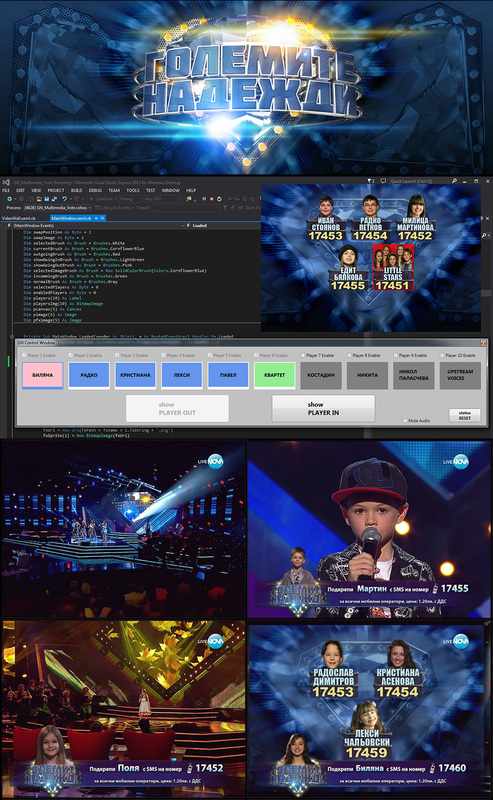 TV show automation, game show logic control and score boards, data visualization, light and sound equipment control. 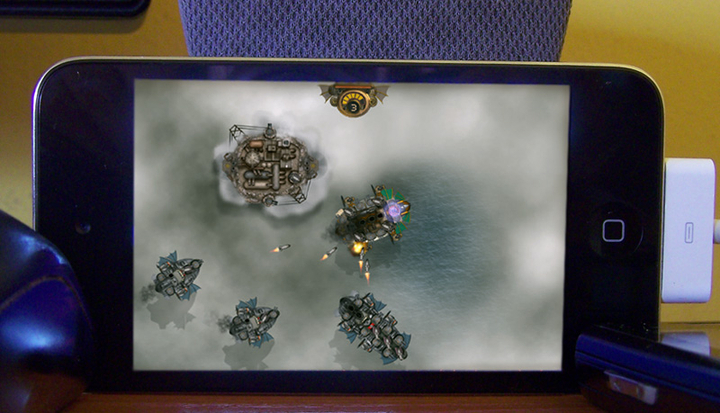 Computer game components development. 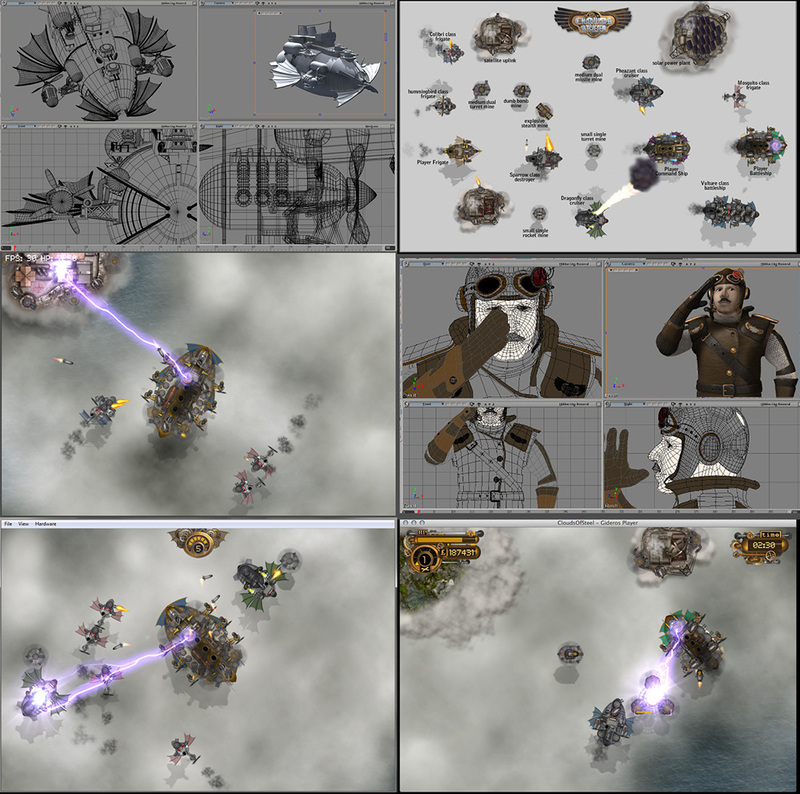 FBX/Unity workflow compatible, textured and animated models. 2D/3D character design. IOS, Android or desktop optimized content. No matter graphics or software, we always deliver solutions tailored for your project. or examples of what we actually do. Hundreds of projects for various companies. Harsh transition from analog broadcast technology to the digital world. 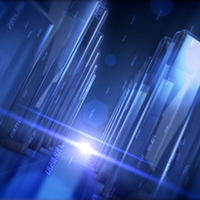 From simple tv idents to complete television graphic packs. 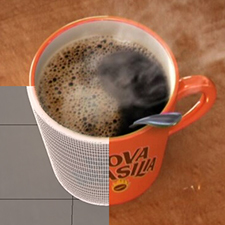 We became supplier of computer animation and VFX for television commercials working as a subcontractor of the production companies. Clients including banks and insurance companies. 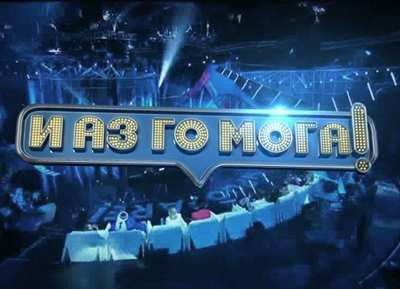 Software development for television projects became part of our activities. Data visualization, game show automation, multimedia hardware interface programming, score boards and voting are the typical projects we work on. 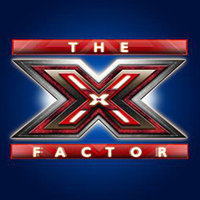 Ten years after completing our first project for one of the biggest in the industry - Sony Entertainment, we faced the ultimate challenge: The X Factor. 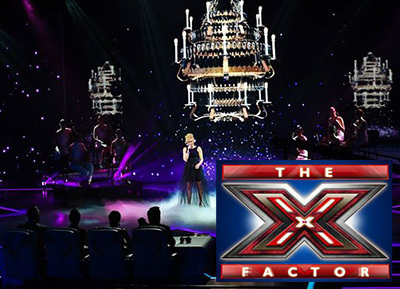 For the last decade we served with graphics and/or software: Sony's Russian Roulette, Endemol's Star Academy, ScreenTime Partner's The Exam, Freemantle's Bulgaria Got Talent, Endemol's Your Face Sounds Familiar and many more and not just once. We really like reading emails. Drop a line! if you prefer voice communications. 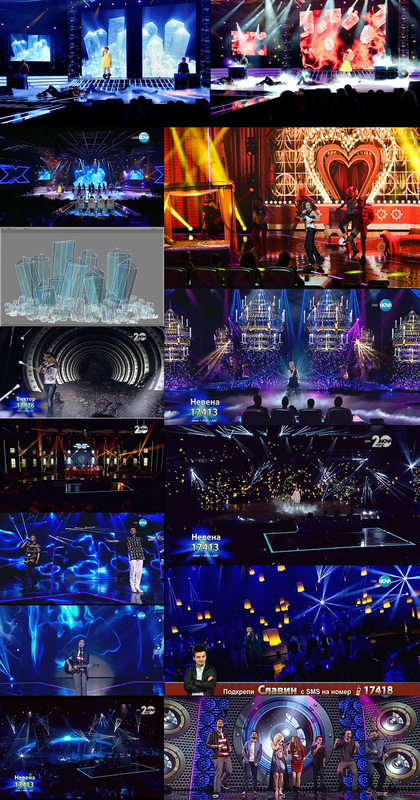 Shadylabs was invited to adapt South Korean motion graphics of the show for Bulgarian audience. 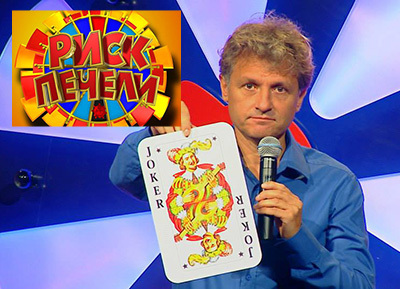 We developed new logo and animations according to the show original reference. 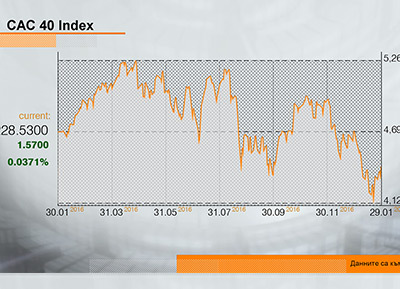 Business and economics television channel in Bulgaria, Bloomberg partner. 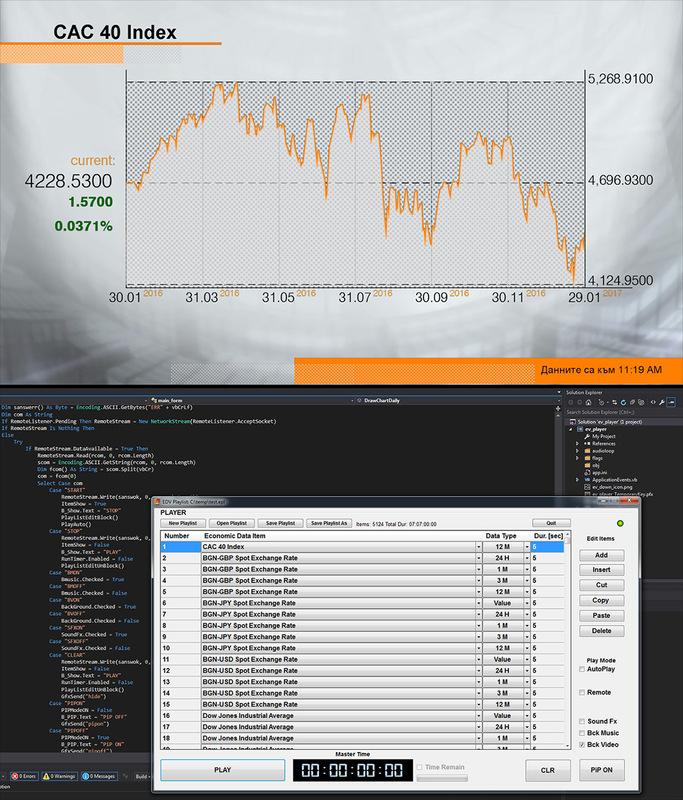 Shadylabs was invited to adapt and develop realtime visualization for stock markets. We developed software according to the Bloomberg referenced design. 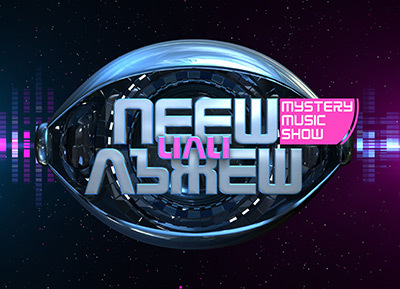 Shadylabs was invited to adapt Italian graphics of the show for Bulgarian audience. 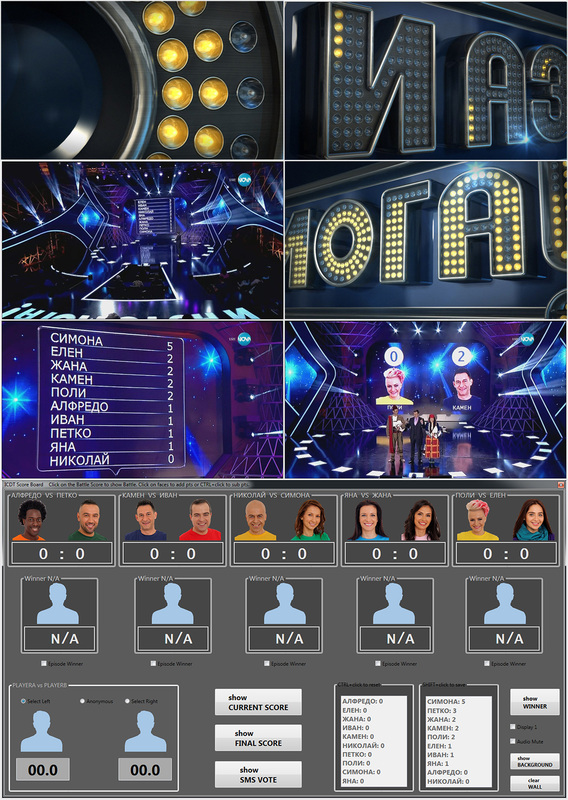 We developed software scoreboard according to the show rules and referenced design. 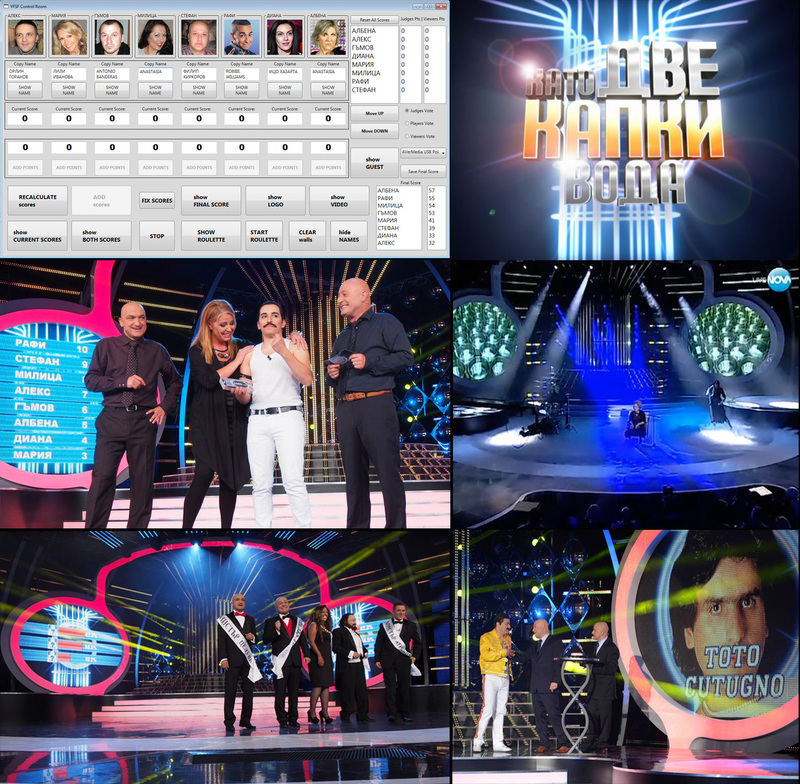 After two successful seasons of Bulgaria Got Talent and an amazing season of Your Face Sounds Familiar our studio was selected to supply the motion graphics content for the stage LED video walls during the live concerts. 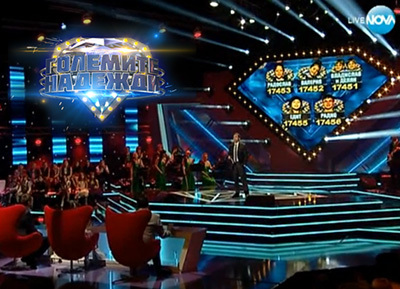 We actually did some additional graphics adaptation for the show and developed some quick sms voting visualization for the final. 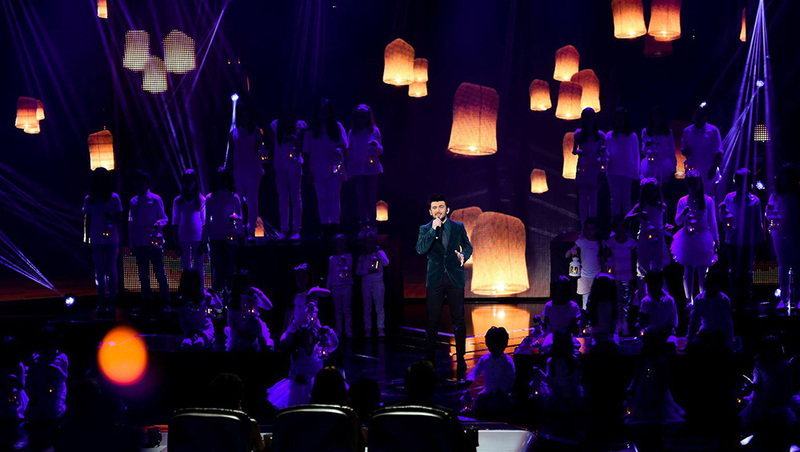 After very successful season of X-Factor the Bulgarian audience indicated strong interest of similar program for kids. The Great Expectations was answer to that demand and an original format was created by Global Films. 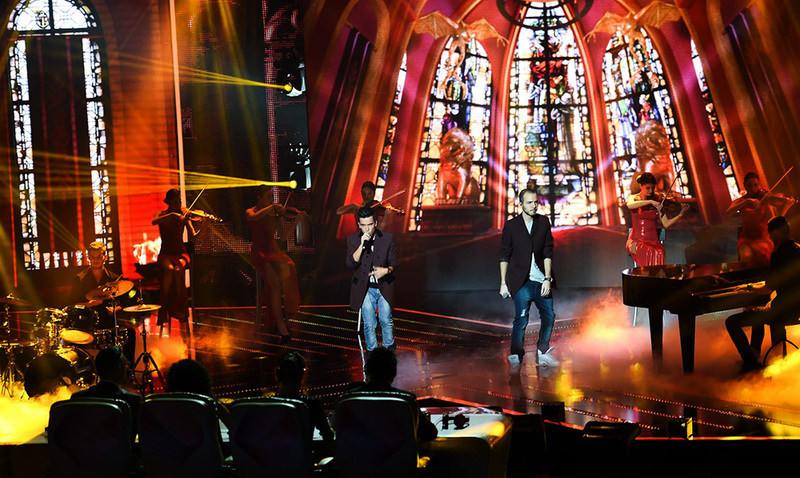 Once again ShadyLabs was selected to design complete graphics package for the show, to develop software for SMS voting and support the live shows with stage multimedia content. 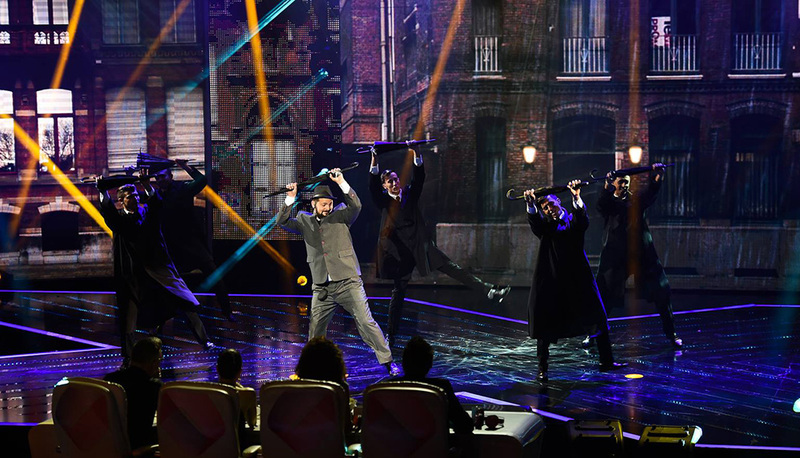 Our task was to create stage LED video walls content, software and hardware development for controlling judges X signs in season 1 and 2. 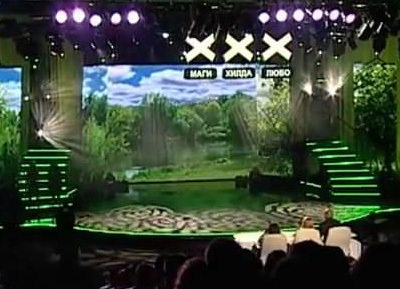 For season 3 and 4 we developed software to connect judges X-signs and buttons to stage LED video walls. 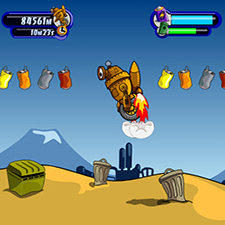 One of the biggest projects for the studio in the early years. 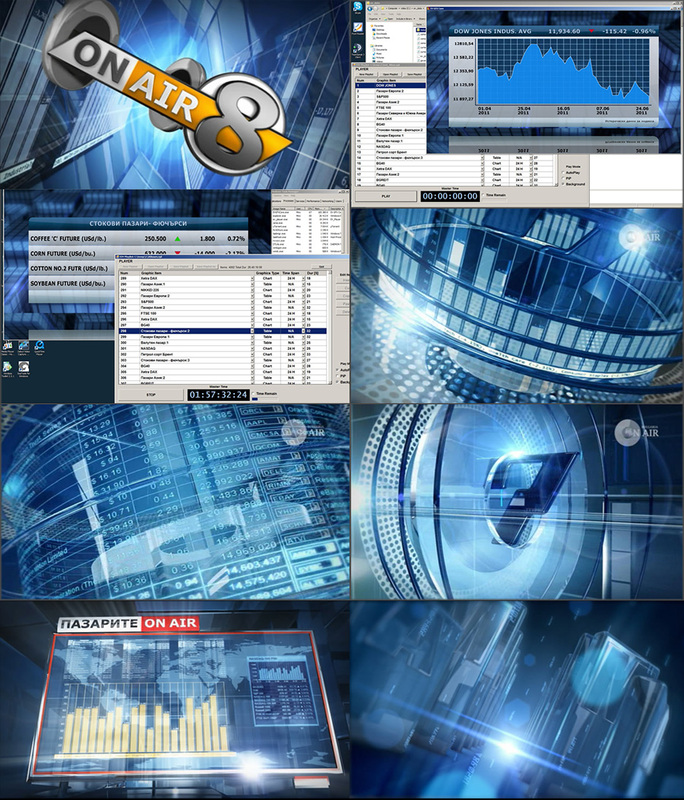 Bulgaria On Air massive demands of graphics content and stock market data visualization software led to our involvement. We created complete starting graphics pack for the channel, idents, show openers and many more motion graphics components. 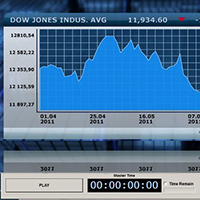 Our second task was to develop near real time /1~3 min lag/ system for stock market data visualization. 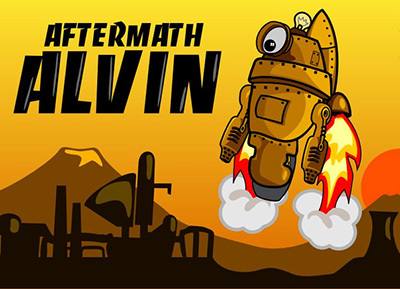 Aftermath Alvin is the result of a five day game development run. We wanted to see where we could take things if we started from scratch. (tbh we needed a short break from working too hard on Clouds of Steel). 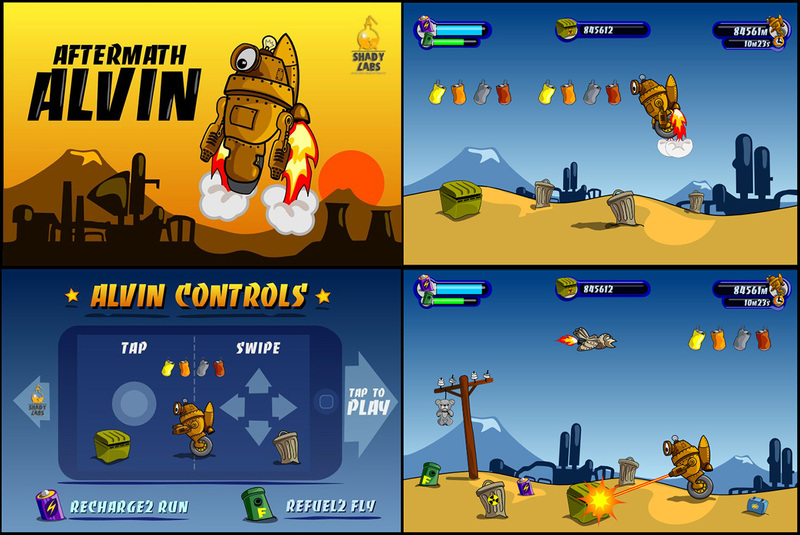 It was our first Apple IOS development experience, mostly oriented to check the complete mobile game development cycle from idea to Apple AppStore publishing. 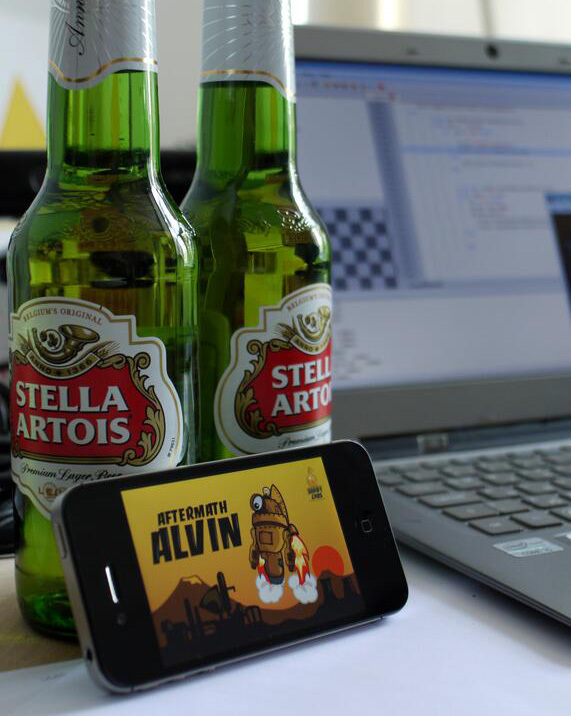 Code and sounds by Georgi Marinov twitter: @eesn.. Graphics and additional code by ShadyLabs. YouTube page for game play preview. 16 years after our first job for SuperArt we were called again, but this time for software development. 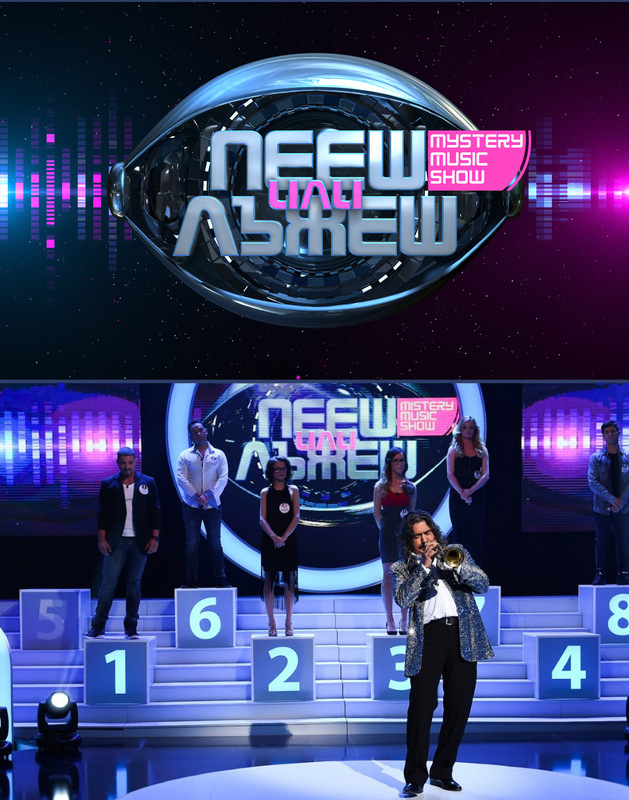 It was an interactive crossword on big plasma screens video wall, part of their game show on TV7 channel. We developed crossword control and a crossword creator application with modern DX shader effects, video playback and sfx. 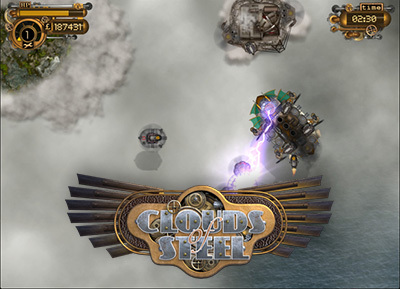 Steam punk style, tactical top down shooter set high above the clouds in alternative reality.